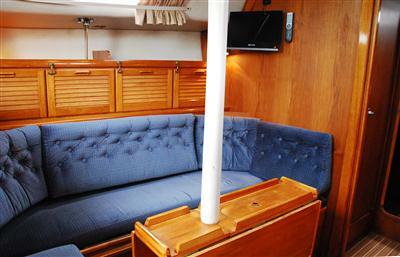 An Ex-London Boat Show model, this thoughtfully designed centre cockpit sloop has a good turn of speed, is easily handled, has exceptional sea going qualities and is very comfortable for living aboard for long spells at a time. 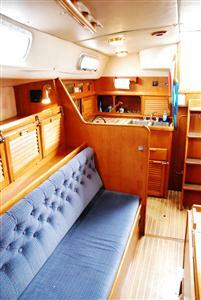 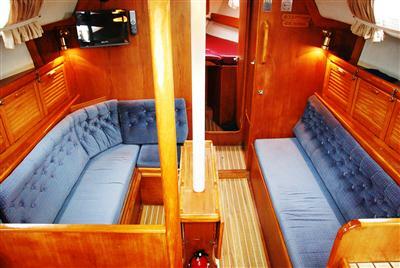 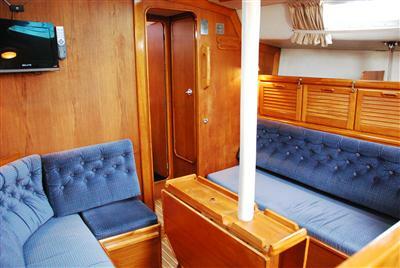 This makes her ideal for two families or one large group wishing to cruise in comfort. 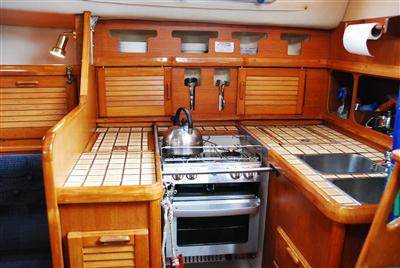 Equipment includes a GPS plotter, furling genoa, slab reefing mainsail, a stereo radio/CD player, wind/depth/log instrumentation, refrigerated cool box, electric windlass, propeller stripper, new double burner hob, oven and grill and of course hot/cold pressurised water system and Eberspacher heating. 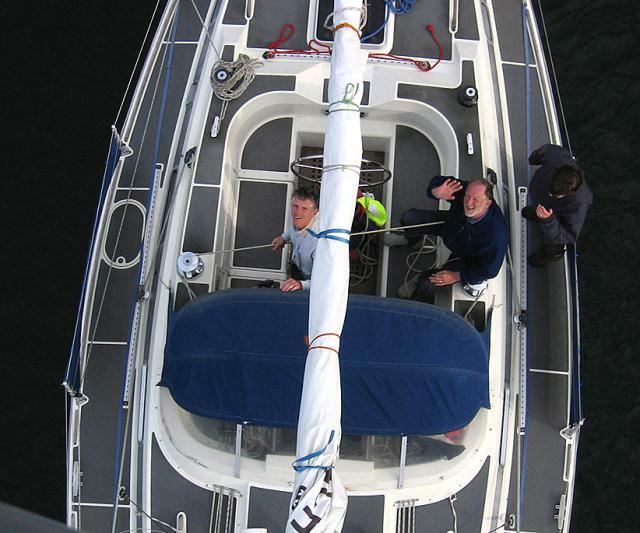 The Standard Horizon 7 inch colour chart plotter makes her a doddle to navigate! 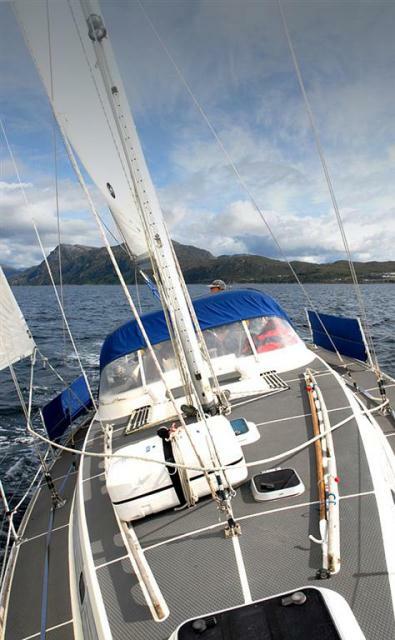 She is also fitted with a stack-pack and lazy jacks to make handling the mainsail a breeze. 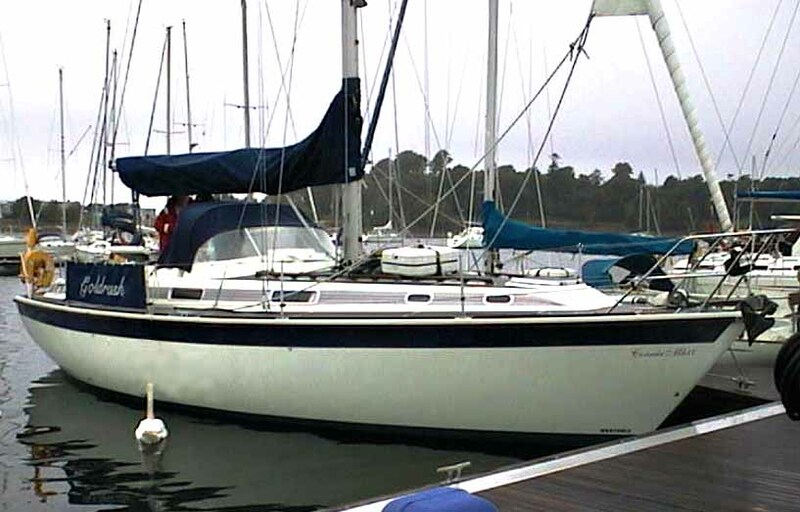 She has been fitted with a brand new and more powerful Volvo Penta engine and for the 2017 season she is being fitted with a nice new pair of Lewmar 45ST self tailing winches to make sail handling even easier – the galley has also been stripped out and modernised with all new worktops – all part of our continuous improvement plan ! 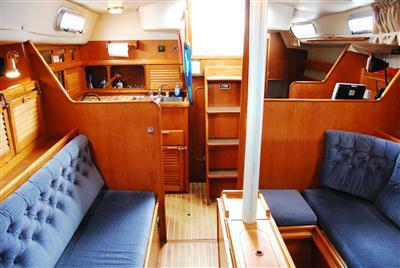 She has also been fitted with the latest Raymarine autohelm system and the controls and plotter have been moved to a pod on the binnacle.